If you've configured a member profile, but the scheduled availability does not show up correctly on your Booking Page, here are a few simple tests you can run in order to resolve the issue. At the top left of Appointlet's dashboard you will find a test icon. Click the icon to view your global booking page for all members and meeting types. This is recommended because in some cases you may be looking at a booking page that targets a specific member or meeting type. Note: Make sure your member's timezone is set correctly. This can be adjusted by signing in and going to your Staff Member page. You'll find the timezone under the "General" section. Have you checked to see if certain times are unavailable due to an existing booking with Appointlet? Take a look at the Bookings Dashboard and scroll to the date and time in question. Appointlet does not support double bookings for the same member, so if there is an existing event attributed to that member, our booking page will block it off from the member's availability. Open a new browser tab and navigate to your Google or Office 365 calendar. Check the specific date and time to see if there is an existing event. If there is no meeting at that specific date and time, be sure to check for multi-day events. 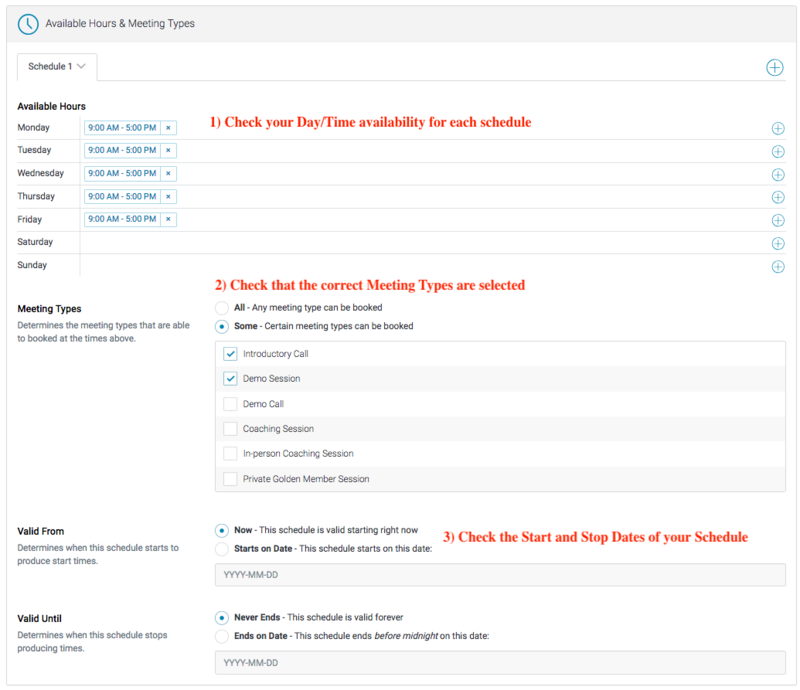 Appointlet users often forget that a multi-day event marked as "busy" will make that entire span of time unavailable on the booking page. 1) Required Notice: If you require advanced notice for a meeting type, then those parameters will limit your availability on the booking page. In this example, the booking page would only display seven days of availability, due to the maximum notice. Additionally, the current day's availability would not show because there is a minimum notice of 1 day. 2) Breaks: If you have pre-meeting and/or post-meeting buffers on a meeting type, it can interfere with your schedule. 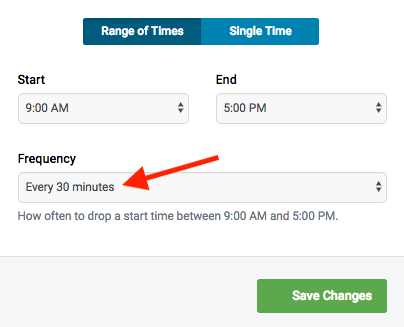 For example, if you have a one-hour meeting with 30 minute buffers on both end, then that meeting will actually consume two hours on your booking page calendar. 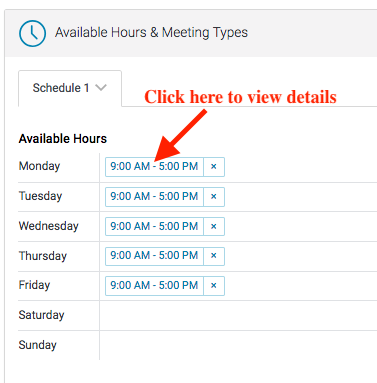 3) Check Your Schedule Frequency: If you have gone through all of the previous steps and are still seeing some issues, you can try returning to your Available Hours and Meeting Types and clicking on the schedule details of the day in question. For example, if you have a meeting scheduled from 10:30 - 11:30 AM, configured with 45-minute breaks before and after the event, then you might have expected to see time available at 9:45. and 12:15. However, due to the 30-minute meeting frequency, the schedule availability would show as 9:30 and 12:30 instead. As you can see, there are a variety of configuration settings that contribute to the way your availability displays on the booking page. The factors outlined above are the most common reasons that they would not display correctly.